Hero Histories: SuperPowers Saturdays Cometh! Alex Ross' Project SuperPowers Strikes Again! (Both of them. Click on the link. 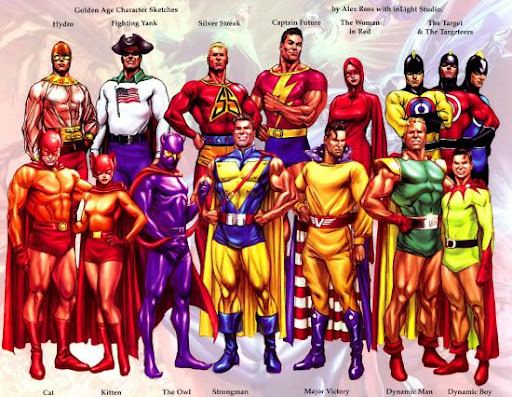 Lost Heroes of the Golden Age of Comics™! And don't forget to buy the Project SuperPowers comics and collections including Black Terror , Death Defying 'Devil , Masquerade , and Project SuperPowers Volume 2 !